LPR has completed multiple lump sum and T&M projects at the Western Sugar facility in Fort Morgan, Colorado. At this facility, LPR utilized its multiple craft disciplines to complete everything from demolition to structural concrete/foundations to equipment setting and process piping. 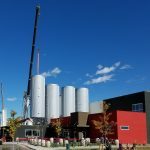 Concrete foundations consisted of the Pulp Press and Filter Foundations, the Evaporator Tower Foundation, concrete slabs and multiple concrete repairs throughout the facility. Our structural and mechanical disciplines set the evaporator tower which included installing and rolling 22,000 tubes in the evaporator section and setting the 248,000 lb vessel along with all the associated piping and structural steel. 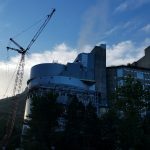 LPR also completed the demolition of the existing sugar dryer and installation of the new sugar dryer and duct work, installation of the sugar load out building and equipment, equipment and piping for the purification system in addition to multiple other piping and mechanical projects .